When a runaway Soul Eater and his deranged werecat team up with a drug-dealing Faerie Vampire and a heartsick Shinigami for a Japanese gangster demon, there's going to be trouble. Mangled corpses and blood on the ground trouble. Soul Eater, monster, murderer and still only eighteen, Julian Lake comes to Japan seeking revenge against the sorcerers who sacrificed his lover to their dark magic. But first he needs a rare supernatural cord made of braided demon skin. 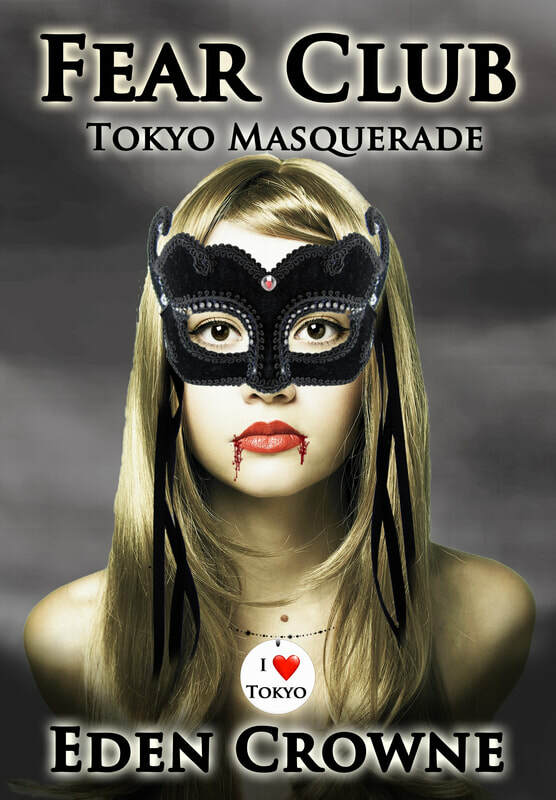 In Tokyo's red light district where the gangsters are actually Oni demons hiding in plain sight, Julian comes tot he aid of a local crime boss. As the thanks, the demon promises to help Julian acquire the cord. Bur first, perhaps the Soul Eater could look into a small problem unruly Mountain Demons hijacking the gangster's shipments. Everyone just might reach their goal on the mystical shores of the Lake of the Dead in Japan's frozen far north. That is, if they don't kill each other first. Eden Crowne's newest Fear Club novel, Cruel and Unusual Magic, takes place in the weeks prior to Lexie Carpenter's partnership with Julian Lake. Many readers have already met Julian and the dreadful Soul Eaters in Fear Club: The Masquerade and its continuation, Fear Club: The Summoning. However, this is a stand-alone novel and it’s not necessary to have read any other books in the series to enjoy Julian’s harrowing encounters with creatures of the Japanese supernatural world. Viscount Lord Julian Lake is a sorcerer, a Soul Eater, and a murderer. A murderer many times over and still only eighteen. This young British aristocrat is the son of the late Viscount James Lake and Eleanor Lake.Who is, as much as Julian would wish it otherwise, very much alive. The Lakes are an ancient family of sorcerers with many spells and magical objects passed down over the centuries. The family story is that Julian's father drank himself to death on the fine vintages in their estate's wine cellars when the boy was only nine. ​ Julian's mother, Eleanor, is an ambitious witch of fearsome power and a member of the Soul Eater's Club. ​ Hex, a large and extremely ugly Werecat, is Julian's companion on his adventures. He stole the creature from his mother the last time he was home. Although he often calls Hex a "Manky Beast" the two are well suited to each other. ​ Julian is trying to make amends for the death of his true love Caroline at the hands of his companions. Caroline was killed under orders of the Soul Eater’s Council to teach the powerful young sorcerer a lesson in humility. After her death two years ago, Julian savagely turned on the Club. He traps and kills Soul Eaters, becoming more powerful with each death. A body cannot live without its soul. The victims of the Soul Eaters quickly die and their bodies turn to dust. But the torment doesn’t end there. The sorcerers steal not only their life but afterlife, dooming their spirits to wander the Shadowlands forever. Julian believes he might be able to change that. The Soul Eater holding the final piece of Caroline’s soul is in Tokyo. If he can just put all three soul pieces together, perhaps he can bring Caroline back from the dead. But it’s a dark and dirty magic that demands more deaths. Become a better man or a better sorcerer? ​ You can’t defeat the demons you enjoy playing with.